Veteran social worker Ellen Moore has seen the worst side of humanity; the vilest acts one person can commit against another. She is a fiercely dedicated children's advocate and a devoted mother and wife. But one blistering summer day, a simple moment of distraction will have repercussions that Ellen could never have imagined, threatening to shatter everything she holds dear, and trapping her between the gears of the system she works for. 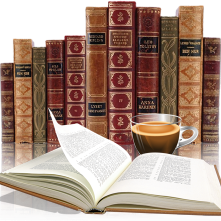 I read the novella called Little Lies in which I was introduced to social worker Ellen Moore. 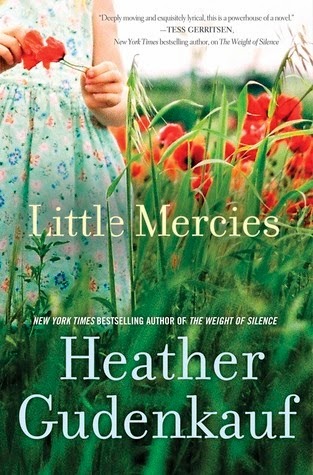 When Little Mercies became available on Netgalley I jumped at the chance, not even reading the synopsis because anything by Heather Gudenkauf is automatically part of my TBR pile. So beginning this book, without any preconceived ideas was enjoyable, my mind was totally open as to where this journey would take me. It wasn't long before I had that moment, you know the one, your mouth kinda hangs open, you're rather stunned because ya didn't see that coming, so you sit still and think did that really happen? And maybe go back and read those couple of paragraphs over again. Well guess what? It did happen and boy I was sucked in to this book big time. It was an emotional storyline for me, one of the things that I really like about this author is her writing style, she created a world that is so real and raw. I read a large part of this book in one day and had to give myself a couple hours rest before completing the journey. This was also one of those books that had me waiting a day or so after I finished before I could start a new book. It wasn't just Ellen's life but Jenny's also, waiting to see how they were set to collide, wondering what the outcome (and purpose) would be. There was a lot going one, but not in an overwhelming way. The author created characters that were human and authentic along with a very believable story. Parent and child relationships, wife and husband, siblings and complete strangers made this such a great story. If it was the authors intent to tug at her readers heart strings, she definitely did that to this reader. "You have to look for the little mercies, the small kindnesses and good that come from the terrible." This one sounds good! Thanks for the review!